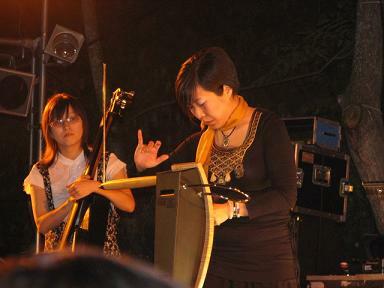 Joining our list of international theremin divas is Monla Mong. According to the liner notes of her album "A Dreaming Kid", she is known as "the one and only female Theremin player in Korea". So far, I've only found one sample of her theremin playing (on the dreamy self titled track MONLA here). If you know more about her or can point us to a promo/home page, please get in touch.